The following is a press release from the progressive media watchdogs, Media Matters for America. It tells the story of Byron Williams, the Glenn Beck inspired man who got into a firefight with police officers in California last July. Williams was trying to "start a revolution" by committed mass murder against the Beck targeted Tides Foundation and the ACLU. This is part IV of IV. As John Hamilton reported, alleged California highway shooter Byron Williams described Beck as "a schoolteacher" and said that "it was the things [Beck] exposed that blew my mind." Though he urges his audience to "reject violence," Beck regularly spews violent rhetoric -- often warning of impending violence from "the left." 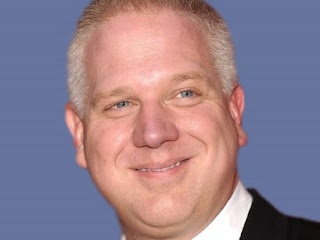 A review of Glenn Beck's Fox News program from its start to Williams' arrest on July 18, 2010, shows that Beck frequently used violent rhetoric. advocate for violent peace WTF? Though Williams indicated he did not listen to Beck's radio program, Beck frequently employs violent rhetoric during his radio program, often warning of eventual violence from "the left." Mixed message: Beck implores his audience to "reject violence"